London gallery Richard Green has said it will defend a claim made in the High Court by a client who purchased two Old Masters for €5m at TEFAF Maastricht last year. 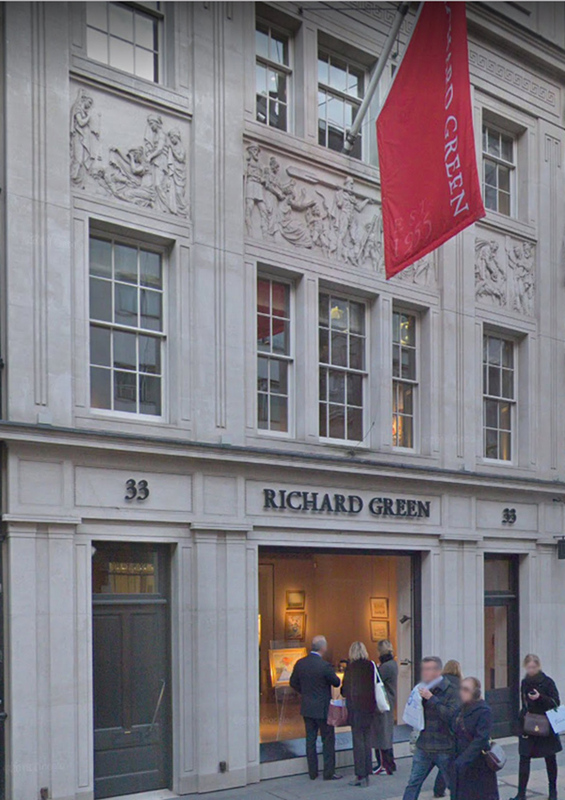 The Richard Green gallery at 33 New Bond Street in London. The claim relates to the disclosure of provenance information but the Bond Street dealership told ATG that it would contest the buyer’s claim to rescind the sale or seek damages and that the prices it charged for the works were fully justified. 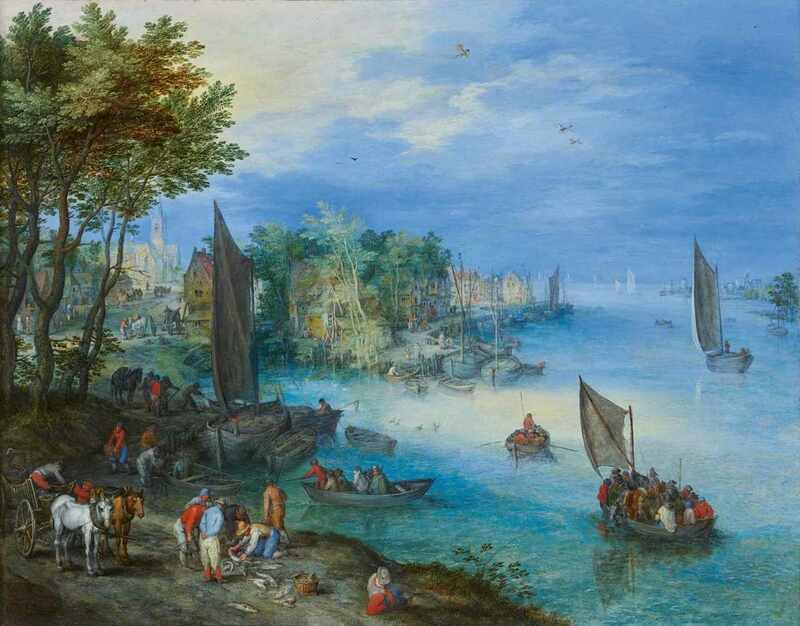 Gary Klesch, 72, founder of the industrial commodities firm Klesch Group, filed the claim after he and his wife Anita bought the two paintings, River Landscape with Fishers and a Cart, an oil on copper by Jan Brueghel the Elder (1568-1625), and a winter landscape with figures skating by Salomon van Ruysdael (c.1600-1670), from Richard Green’s stand at the Maastricht fair in March 2018. They paid €3m and €2m for the works respectively. The claim alleges that the gallery did not include the fact that the works had been acquired at auction in 2017 in its “provenance listings” and that this was done “to minimise the likelihood of a potential buyer ascertaining the price at which the defendant had recently acquired the paintings and then using such information to negotiate a reduced purchase price”. Klesch alleges in the filed documents that he would have made inquiries "as to the complete provenance" of the paintings had it not been for the information provided by Richard Green. The Brueghel the Elder had sold for €1.46m at Lempertz in Cologne in November 2017, while the van Ruysdael made $882,500 at Sotheby’s New York in June 2017. When ATG checked details of these sales on the auctioneers’ websites, the information was freely available and included the realised prices. Jonathan Green of the dealership said that provenance was “a history of ownership not an auction record” and that, as retailers, dealers are not obliged to provide details of how artworks were sourced. He also pointed out that the gallery had been able to acquire the works at sums that represented good value due to the circumstances of the respective auctions and the condition of the pictures, while at TEFAF they were priced at levels that reflected the artists’ values for such “fantastic examples of their work”. ‘River Landscape with Fishers and a Cart’, an oil on copper by Jan Brueghel the Elder (1568-1625) that sold at Lempertz in Cologne in November 2017. It was subsequently sold by London dealer Richard Green at TEFEF Maastricht but the buyer has now filed a claim in the High Court due to the auction sale not being mentioned in the gallery’s “provenance listings”. In a statement the gallery said: “We identify paintings on the international market suitable for purchase and take a position in these, i.e. we own almost everything that we offer for sale. Mr and Mrs Klesch came onto our stand at Tefaf Maastricht 2018 on the preview day and negotiated to purchase the paintings for €5m. Their family office reviewed and signed our terms and conditions and transferred the funds within a few days. “It is rare for our clients to be dissatisfied, but if this were the case, we would have invited Mr Klesch to discuss with us his concerns. Unfortunately, he did not give us that opportunity. In November 2018, he served a claim on us expressing his desire to rescind the sale.